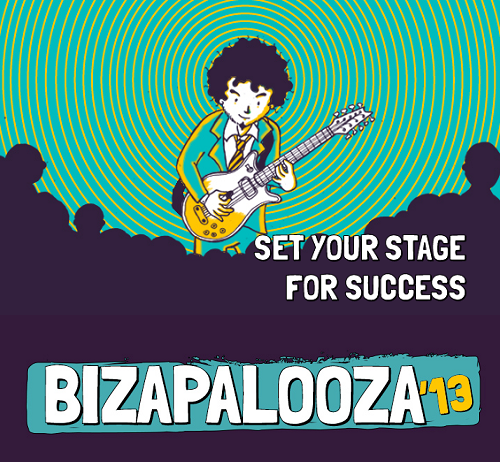 MagCloud is excited to be part of the first virtual small business “rock festival”, Bizapalooza! It’s a free 3-day on-line conference July 16-18 where business experts share their strategies, secrets and power tools that will take your small business as high as you want to rock it. On Tuesday July 16 at 5 p.m. EST, I’ll be representing the MagCloud team and discussing the power of tapping into your brand story. MagCloud publications are all about telling great stories through words and images in print and digital, so it’s a subject near and dear to our hearts. We’ll dive into how small and medium businesses can take a lesson from leading media companies to build brand awareness and create deeper customer engagements . I’ll also share how to cost-effectively develop a multi-channel content strategy that takes your brand story across print, digital and social channels to drive more sales and leads. To register for Bizapaloooza or find out more about the conference click here: http://bit.ly/18BpHgn. Follow us at on Twitter (@MagCloud) and join the conversation during the webinar using hashtag #MagCloudSMB. Join us! Jon Ferrara– CEO of Nimble – Transform your shallow social media connections into thriving business opportunities. David Fishof – Founder of Rock and Roll Fantasy Camp- Don’t let your fears get in the way of your success. Brenda Horton – Co-Creator of ActionPlanr – Take the time to focus, plan and eliminate overwhelm. Susan Payton – President, Egg Marketing – Press releases have SEO super powers. Steve Wilkinghoff – Author of Found Money – First decide your financial outcome, then design a business that delivers. Adam Byrnes – International Director of Freelancer.com – Freelancers will grow your business. Jim Kukral – Speaker and Award Winning blogger – You can make more money and leverage your brand by self-publishing. Tim O’Connor – CEO of Marcademy.com – If your online marketing expert or agency doesn’t follow these rules — ditch them. Chaitra Vedullapalli – CMO of Meylah – 63% of small businesses aren’t online! Sabrina Parsons – CEO of Palo Alto Software – Your financials tell a story –that you write. Erik Koto – CEO of QuestionPro – Run a survey, do nothing, make more money. Really, there’s a study that proves it. Deborah Kagan – Sensual Lifestyle Specialist – Mo Mojo = Mo Money = Mo Fun. Mo Life. You get the picture. Melinda Emerson – Smallbizlady – Talk to people on Twitter, do it every day grow your followers and influence. Share Ross – Bassist for Vixen and Founder of Video Rock Star University – Stop being scared of video – and start attracting more clients and customers. Shawn Pfunder – Godaddy – There’s no good reason for a bad web site. Mariano Andres Garcia – Design matters even though content is king. Bridget Weston Pollack – Marketing Director, SCORE – You can get million dollar consulting and experience — for FREE – why aren’t you? Anita Campbell – Small Business Trends – Blogging is easier than you think. Tina Forsyth – There is more to automating your systems and process than using technology. Matthew Goldfarb – Corporate Renegade – Stand for something – get more clients and customers who will pay you more for who you are. Aseem Badshah – Founder & CEO of Socedo – Social media can actually make you money. Anum Hussain – Hubspot – Inbound marketing is the science of turning web site visitors into prospects and prospects into customers. Hubspots power marketer, Anum Hussain takes you through the basics and gets you headed on the pathway to profitable customers. Lots of great speakers on tap so I hope you’ll join the conversation. For the full agenda and to register visit the Bizapaloooza website. If you do attend we would love to hear about your experience and favorite sessions in the comments section below. It’s National Small Business week! While summer can be seen as a time to unwind, take vacation and spend more time with family, it’s also prime time for businesses to re-focus and refresh their company’s strategy and/or marketing plan. Here are 5 ways you can give your small business a little boost this summer. Need marketing collateral but don’t have budget to hire a designer? With the wealth of free templates for flyers and brochures today, small business owners can create marketing material without having to enlist the help of agencies and freelancers. As many businesses hold sales throughout the summer, stand out by trying new things with your sales promotions. Get creative and think of how you can take giveaways and discounts to the next level (without breaking the bank). Instead of holding a typical giveaway or discount, you can surprise potential customers on social media with freebies or discounts. You never know, they may turn into loyal customers and big brand advocates! 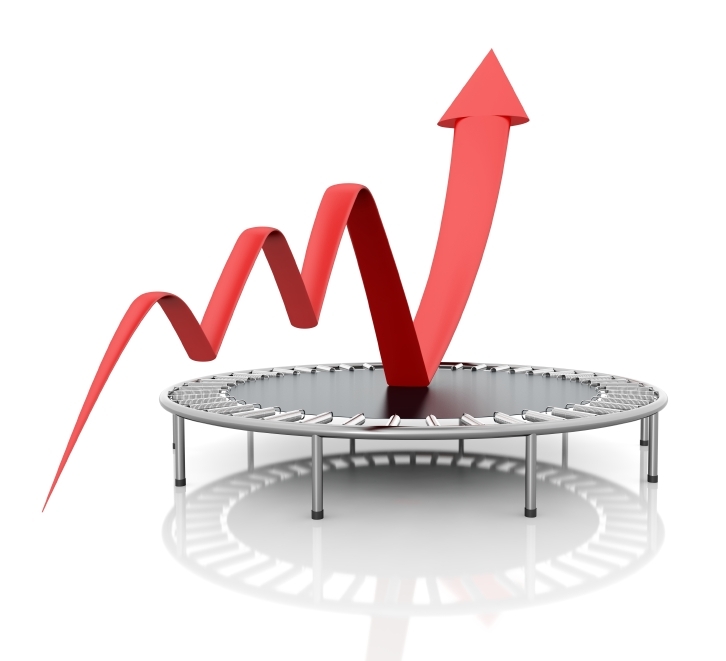 When was the last time you monitored current trends? With a smaller bandwidth, small businesses often focus more on day-to-day operations during the year, that typically makes following trends and issues that impact overall business strategies a second priority. Take advantage of longer summer days to catch up on current events and industry trends that may impact your business. It may transform or inform your business goals and strategy. With a high number of conferences, webinars, speaking and network events, summer is prime time to take advantage of networking opportunities. Meet with potential business partners and people who can provide new information to help you improve your business. Keep your company at the forefront of peoples’ minds by giving them engaging company brochures or eye-catching one-pagers. Take advantage of summer business lulls to work on long-term business planning including re-evaluating your company’s strategy, goals and objectives. Are they still in-line with current trends and customer needs? Identify what’s working and what’s not to re-focus your business strategy so that you can gain an edge in your industry. After you have an idea of what your small business needs to stay ahead, set forth! Summer is the best time to make sure your company is on track to meet its goals for the rest of the year. What else can SMB’s do to boost business this summer? Share your ideas with us in the comments section below! As Chief MagClouder I know first hand that starting a new business inside an existing, well-established, large and profitable company can be just as challenging as launching an enterprise all on your own. Especially if your idea is a disruptive one – and one that requires time to grow before it adds a noticeable boost to your company’s overall bottom line. In Innovator’s Dilemma, author and leading business thinker Clayton Christensen is spot on with his observation: Traditional companies are wary of pursuing new products and services that will initially have smaller target markets with unproven business models. Why invest in something new that will result in a smaller return (at least initially) when you can continue cultivating larger and much better-understood markets based on your existing business proposition? The answers vary, but the one that strikes a chord with us is simply this: If you don’t disrupt your own business, someone else will. We’ve learned some useful lessons about launching a disruptive business inside a large company – in our case, creating MagCloud within Hewlett-Packard (HP). You might find these lessons useful, too. 1. Bottom-up ideas can be just as successful as those directed from the top down. The idea for MagCloud didn’t come from HP’s executive offices or reports from famous industry consultants. Instead, a couple of researchers in HP Labs thought it would be cool to create a way for anyone to become a publisher. We took that idea and ran with it. It was bottom-up driven and an approach supported by our cross-company sponsors. It’s a model that suits both HP and MagCloud well. That bottom-up philosophy suits many companies well. Google, for example, encourages employees to spend about 20 percent of their time “on projects that aren’t necessarily in [their] job descriptions.” This dabbling in other endeavors has resulted in some of Google’s most important products, including Gmail and Google News. Facebook Hackathons – all-night, code-writing “ragers” – are a big tradition at Facebook, inspiring employees to collaborate on some great (and some not-so-great) ideas. 2. Flexibility is your friend. Starting a business is no time to be set in your ways. From the moment you come up with your initial idea to the day you launch, you must be flexible enough to tack and weave your way forward, evolving your idea as you go. When we began working on MagCloud, we thought that, along with providing print-on-demand based publishing, we should offer a tool that publishers could use to put together their publications – you know, type your text here, add your pictures there. And, voilà, you get a great-looking publication. Then we remembered that authoring tools already exist in applications such as Microsoft Word, Adobe InDesign and Apple Pages. Why make customers use our tool when they’re already working with existing, proven programs? It seems obvious now, but at the time it was a big “aha” moment for us. We might revisit creating authoring tools at some point as we tack and weave our way forward. 3. Small teams can outperform big ones. If you’ve ever worked within a large group, you know the perils of spending far too much time communicating just to stay in sync, and adhering to the many processes designed to keep a large group coordinated – both of which can hinder creativity. There’s a great story about a high-profile Silicon Valley software CEO who, upon hearing from a manager that a project was late, asked that one person be cut from the team. When the project continued to be delayed, he asked that another person be cut from the team. And so it went, until the project was successfully delivered. The moral: The smaller the team, the more flexible you can be – and the easier it can be to keep working toward a common goal. At fewer than 20 staff members, we know this lesson all too well at MagCloud. We take turns at doing everything and finishing our projects on time. Mostly. 4. Small teams can make big impressions. Whether you’re one person working from a spare bedroom or part of a 100-person, full-fledged marketing department, producing beautiful, professional-quality publications with MagCloud will give the impression that your business is bigger than it really is. And, in fact, as long as you produce quality products that people enjoy, even the smallest team can attract millions of fans and followers. Consider Pinterest, founded in March 2010 with a handful of employees. The company employs 100 today, just three years later. But what’s really impressive is Pinterest’s 40 million faithful fans who spend hours pinning their favorite things to their own virtual bulletin boards, so they can organize them and share them with friends. Pinterest is now the largest social media platform as measured by users per employee. Instagram’s team was even smaller. Just 13 employees built the business, which now has 30 million users who pause in mid-step to capture just the right photo, add their favorite filter and post it to Facebook, Twitter, Tumblr, Flickr and Foursquare. It’s difficult to argue that small groups can’t deliver big results. Instagram’s tiny team caught the $1 billion attention of Facebook, its new owner. 5. Look ahead, but not too far. Most large companies have very strict planning cycles, forecasting three or more years out and detailing every step of the way. At MagCloud, we don’t pretend to know what the world will look like in three years. We don’t pretend to know what MagCloud will look like in three years. Instead, we focus on a month ahead. We decide what we’re going to invest in for the next month based on what we learned from our previous month through our customer support, website analytics, blog comments and social media interactions. In a large stable business with mature markets even the slightest changes can have significant impact and high risk. This often results in long decision-making timelines that require deeper data analysis and more people involved in choosing the course of action. At MagCloud, all of us – all fewer than 20 of us – are empowered by HP to make all the decisions that affect our business, hundreds of times, every day. Even if we make decisions that aren’t quite right, we make them and move on. We’re willing to take the risk because what we know – and what you know, too – is that if we don’t quickly iterate to meet our customers’ needs, someone else will. 6. Disrupt, lest ye be disrupted. Disruption. It’s what makes new businesses successful and old, stuck-in-their-ways businesses fall to the wayside. One great example of this lesson was when Netflix disrupted movie rental stores with DVD rental subscriptions. Remember how much you anticipated receiving those red envelopes in your mailbox? Then Netflix was smart enough to disrupt its own DVD rental subscriptions with even easier access to streaming video at a fraction of the price. I wonder what they’ll do next. In much the same way Netflix disrupted Netflix, MagCloud doesn’t want to be disrupted by someone else. We want to be our own disruptor, and we work hard at giving our customers what they want, even if it means we need to continually reinvent ourselves to do it. Discipline and focus are crucial with a small team. There is never a shortage of new ideas but choosing the ones that will have the greatest impact to building our reach and growing our business are the keys to success. We’re in control, we make the decisions and we live with the consequences. It’s exciting and exhilarating, and it’s one of the reasons why I love doing what we do as a small-medium business. I suspect it’s why you love what you do, too. I would love to hear what lessons you learned starting your own business or innovating as part of a small business or team in the comments section below. The words Young & Free come to mind when you mention the name Holli True, and it’s not just because that’s her business’ tagline. The Oregon-based high school senior portrait photographer manages to keep a free spirit and a young attitude finding inspiration in the teen-world around her. In 2010 the savvy businesswoman decided to specialize her business from general photography to a very specific market: high school senior girls. While it may seem like a small niche, Holli has made a name for herself in the region amongst high school girls and in the photography community worldwide. Over the past two years, she’s begun hosting workshops across the US and has spoken at a number of photography conferences and events. Now she’s furthering her reach with a new magazine, set to launch in May of this year. How did you get started publishing? Holli True When I was planning my first workshop, I decided to create books for each of my attendees. I didn’t want them to have to scribble notes, so I provided each of them with all of the workshop content in a book. Following the first workshop, I received a dozen emails from other photographers that had heard about my workshop book. While they weren’t able to attend my workshop, they wanted to buy my book. I decided to revamp the workshop book and offer it to the public for purchase, calling it Field Notes: Workshop in a Book. Since then, I have also released Body Language: The Pose Book. What exactly are your Young & Free publications? HT Traditional studios offer proof books with printed images in a leather album, but I am not a traditional photographer. The Young & Free Look Book is my version of a proof book, in magazine format. Needless to say, it was a huge hit with my clients and got everyone buzzing about my business. While albums tend to be more of an heirloom product, our Young & Free look books are intended to be toted around and shared with their friends. How did Young & Free come about? What inspired you? HT In 2012, while planning for my senior photography season (which peaks in late summer and fall), I looked at my assortment of products and decided to simplify. I stripped down my products, which used to consist of photo boxes, signature books, mounted prints, gallery prints and more. Having too many options for clients can be overwhelming, so I decided I wanted to focus on a small handful of items–keeping my brand in mind–I ended up with Albums & Metal Gallery Prints. I quickly realized that I was missing one thing: a key product that my clients would love, that would do constant advertising for me. My solution: a Look Book. I absolutely love looking at designer look books, they are different from magazines, as they are filled with just pictures. I adopted the same format and dedicate the entire look book to my clients, filling all of the pages with their beautiful pictures. It is a unique product that other photographers in my area aren’t offering, which allows us to stand out, while remaining true to our brand. Tell us about your newest publishing adventure. HT Earlier this year I joined forces with Heather Dunnigan, of TheaCreative, to create a new magazine publication for photographers called Denim+Grace. As a workshop instructor and business mentor, I am very passionate about teaching and sharing. I was craving a creative outlet and new platform to connect with other photographers in the industry and create something beautiful–a magazine was the natural choice. We are so excited about our premiere issue launching on May 1st, 2013! Why did you choose MagCloud? HT I have been a dedicated MagCloud user for over a year now. I turn to MagCloud for all of my printing needs in terms of magazines & books, it was a no-brainer for us when it came to Denim+Grace. We absolutely love the print quality, quick turnaround time and impeccable customer service that MagCloud offers. Thank you so much for creating a product that makes our hard work look gorgeous! How has MagCloud made a difference in your business? HT I think the biggest difference I have seen in my business because of MagCloud is with my look books. Our Young & Free look books sell themselves, we always have them on hand when we are out and about, which has been a huge marketing piece for us this year. What software do you use to design your publication? Do you have any special tricks to make it easier or well designed? HT I am a Photoshop girl, so it’s my go-to for design. Due to the number of look books I had to create, I wanted to make it as simple as possible to get them designed, so I made an assortment of templates that I can mix and match easily. Due to the popularity of the look books, I recently wrote a blog post about how I created them and now offer templates for purchase to anyone looking to create similar publications. What tips do you have for someone new to self-publishing? HT Do it! MagCloud makes the entire process a breeze, just commit and go for it! Oh, and before you order a large number of copies, make sure to do a test run, just in case! When you start designing, it’s easy to forget to leave enough cushion on some pages, a simple test can give you peace of mind! If you were stranded on a desert island, what one book would you want with you? When Cory Ann Ellis moved from California to the Midwest to study Physical Education in college, she never imagined that she’d one day have a booming photography business in South Dakota and her name on the masthead of two magazines. Her first headlong dive into publishing, SD Wedding Style, is focused on wedding information and ideas for couples with both an annual print publication and a regular blog-site. What lead you from photography to publishing? Cory Ann Ellis It was really a natural progression. While I love magazines, I am a horrible writer but I found my images are a wonderful visual compliment writing and so it just made sense to create a publication where there wasn’t one previously. The on-demand printing made it possible for us to bring SD Wedding Style to life without looking for financial backers to help with the cost of printing. There are many magazines to choose from for wedding inspiration–the greats like Martha Stewart and Real Simple–but my partner Leah (a graphic designer and wedding coordinator) and I had never seen a single South Dakota wedding or vendor featured. Therefore it was time to create one and showcase all of the great options couples have right here. What sorts of publications do you publish? CA With MagCloud I print for AC Ellis, SD Wedding Style, Wholesome Magazine and The Cake Lady. I use MagCloud to print magazine publications as well as collateral material and lookbooks for multiple businesses. SDWS uses MagCloud for both our print and digital distribution and media materials. Wholesome uses MagCloud for our collateral materials. With AC Ellis I use MagCloud for everything I can. My product catalog, proof magazines, client handbook, rate guide, vendor magazines, lookbooks and more. For home projects I like to use it for image catalogs of all the images I want to reference without going to the computer. How did you get started publishing through MagCloud? CA A friend originally told me about MagCloud and I immediately was excited about the idea of short run magazines. How has your business evolved with on-demand publishing? CA In my photography business MagCloud has allowed me a new means to put my images in print. In the age of digital too often images do not leave the computer. Heirloom quality albums and many lab produced products are incredibly expensive and aren’t ideal for quick distribution and lots of handling/updating. My images are in more hands thanks to MagCloud and that means more exposure, bookings, and income. The number of my referrals turned to bookings has increased since I’ve used MagCloud to print materials specific to the venues and coordinators I wanted to work with. This year about 42% of my weddings are based on these referrals versus about 10% the previous year. What software do you use to design your publications? Do you have any special tricks to make it easier or well designed? CA I use Adobe InDesign® for all of my design work. When I found layers it opened up a whole new world. CA For someone new to self-publishing I have three main tips. In order to produce a great product you need to research all aspects of the business. While this may be a creative outlet or a small project there are certain legal steps to take for your business. For example if you are going to sell advertising or the publication itself, things like obtaining sales tax licensing and filing, business registration, EIN number, etc. Your work is worth something and you should protect it. Either submit the entire publication or all of your images and text to the copyright office. While your work is copyrighted the moment you create it, registration allows for the recovery of damages in the event it is illegally copied. You can also trademark your name and logo. Not only federally, but in your state. Business names can also typically be registered in your state. Get your ISSN number so that your publication is searchable and citable. Lastly, put a copyright disclosure in your masthead or somewhere in your publication. You may be good at one skill like writing, but not design, editing, photography, or business operations. Find other professionals to round out your team. Either as partners in an LLC/Corp or as paid professionals and sub-contractors. A great team will make for a great publication. What are your business resolutions for 2013? CA I’m not a resolution gal, but I am a huge goal and list maker. And since I’m also into SMART goals I typically have a list of about 70-100 items designed to help me achieve about 10 main goals. This year’s largest undertaking is a complete business re-branding. Lots of fun and work. Are there any blogs or publications that you use for business advice or guidance? Which ones? CA Surprisingly I do not read many business blogs, but I do follow some great people on twitter and love to read their posts and links. A few are Whitney Johnson @johnsonwhitney, Lucas Marcus @lucymarcus, and Oliver Blanchard @thebrandbuilder. I do always recommend small business owners read the book E Myth Revisited by Michael E. Gerber.